Time is running out to submit your nominations for the Ambassador, Distinguished Service and Hall of Fame Awards. Review our award categories and tell us who you think is deserving – and why. 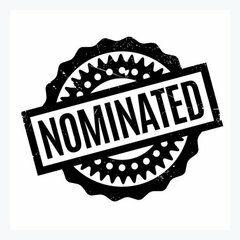 Nominations are due by 5:00 p.m. on Friday, December 1, 2017. Learn more about AFA Awards. Submit your Nomination. 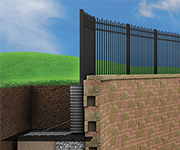 HAVE YOU REGISTERED FOR FENCETECH 2018 YET? Now is the time to check this item off your to do list. 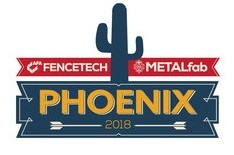 Learn more about the events, the education sessions, and more offered at FENCETECH 2018 by visiting www.fencetech.com. The American Fence Association Education Foundation (AFAEF) is hosting a golf tournament on Wednesday, Feb. 7, 2018, 7:30 a.m. to 12:30 p.m., at the top-rated Raven Golf Club. All proceeds raised from the tournament will support the scholarship fund to help make higher education attainable for individuals in the fence industry. To purchase your spot or team, add the golf tournament during the online registration process, which is the final page of the registration. If you would like to promote your company at the event, sponsorships are also available. 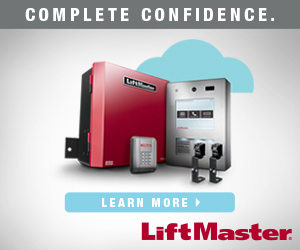 To learn more, contact Brad Howard at 916-257-6707 or bhoward@scsfence.com. Click here to register to play or to view sponsorship opportunities. 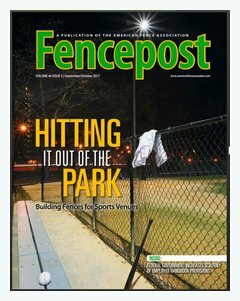 LAST CHANCE TO ADVERTISE IN THE JANUARY/FEBRUARY ISSUE OF FENCEPOST! Don't miss your chance to target more than 10,600 industry professionals in print and online inside the January/February issue of our flagship magazine, available in both print and interactive digital version! This edition will cover a FENCETECH 2018 preview, an article on temporary fencing, and a feature on AFA's incoming president. 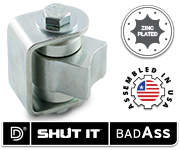 Plus, there will be bonus distribution at FENCETECH 2018! Participating is your perfect opportunity to gain exposure to manufacturers, contractors and distributors in the fence, deck and railing industries, but space is limited! The deadline to include your ad space is December 6, 2017. Contact your Naylor representative today to reach AFA members and key players in the industry. For more information, download our media guide or contact Paul Walley at pwalley@naylor.com or 417-326-2091. West coasters, mark your calendar for this event, themed"Education-Knowledge-Networking Leads to Success" featuring exhibitors of fence, deck, railing and access control. It will be held at the Peppermill Resort-Spa-Casino in Reno, Nevada. More details to come. Reserve Dec. 2 for the annual holiday party at TopGolf! For more information and questions, please reach out to Sandra Tucker at info@coloradofenceassociation.com. 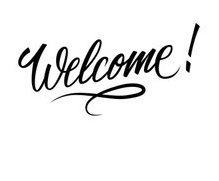 Join us on Saturday, Dec. 2 at Pat O’Brien’s Briars Suite (2nd floor) for the general meeting, networking and dinner with an open bar to celebrate the holidays. The cost is $80.00 per person and make checks payable to the Gulf South Chapter, Calhoun Fence, Inc., C/O Jennifer Palmer, 100 Old Hwy 49 South, Richland, MS 39218. Come one, come all to the TFA's Annual Christmas Party Dec. 8-9, 2017! With tasty treats, salacious sippers, and a foot-stompin musical duo, all we need is you - our enthusiastic members! Bring your family! For more information contact Sean Cooper at 214-748-6088. Rio Grande Fence Co. of Nashville installation crew members competed in the Company’s 2nd Annual Fence Skills Championship™ on Saturday, Aug. 12 at their facility. With over 30 installers competing, individual winners and overall gold, silver, and bronze medalists were determined by work quality and speed in eight critical commercial fencing skills. 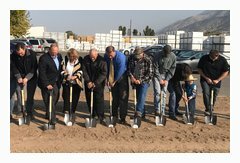 National Vinyl Products (NVP), a domestic producer of vinyl fence profiles, has broken ground on a new 30,000-square-foot fabrication facility in Nephi, Utah that will double the company’s production capacity. 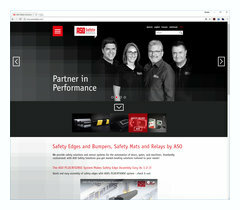 ASO Inc., one of the leading manufacturers of safety solutions and sensor systems for doors, gates and industrial applications, presents a new website with intuitive user guidance, numerous new content, along with a new corporate design. U.S. 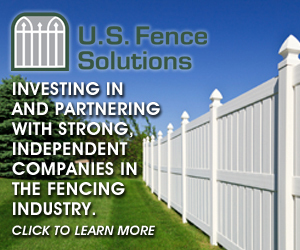 Fence Solutions Co. ("U.S. 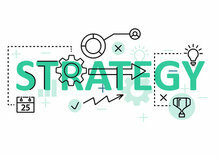 Fence"), a portfolio company of private equity investment firm Building Industry Partners ("BIP"), announced three recent strategic developments.